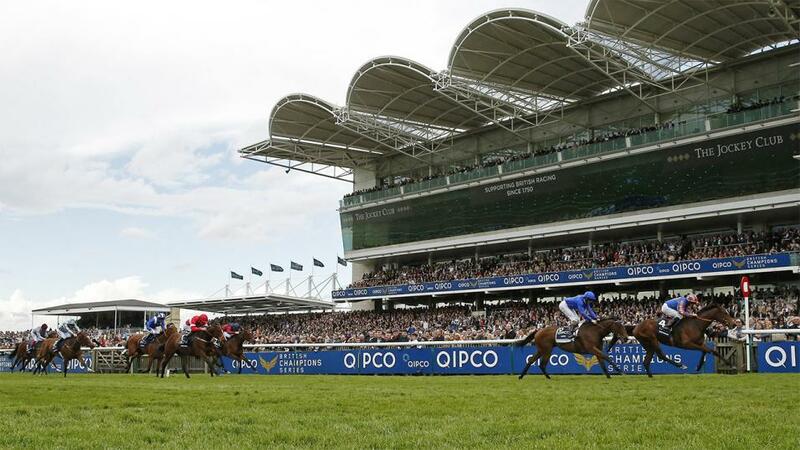 "He's a well-related colt who hails from a yard that do get first-time-out winners..."
12:30 - The ground is soft at Newmarket today and in a race with several likely-looking newcomers, it is hard to be confident who will handle it best. The ones with experience don't set the bar too high, so it could be worth chancing SMARTER (15) for the William Haggas team. He's a well-related colt who hails from a yard that do get first-time-out winners and looks the safest option in an open heat. 13:05 - Seven of the last 10 runnings of this have been won by two-year-olds and MADKHAL (4) is taken to uphold that tradition by seeing off his elders Danzan and Sir Thomas Gresham. The Godolphin colt did the job well on the AW last time and the weight-for-age allowance he receives from that duo tilts the scales firmly in his favour. 13:40 - This doesn't look the strongest race of its type, and ALDANA (1) could well make the requisite improvement needed to continue her winning run up in grade. She has progressed steadily in her three runs to date, winning her last two starts on the all-weather, the latest at Kempton with a bit in hand. The switch back to turf isn't much of a concern given she shaped so promisingly on debut at Haydock and she is fancied to complete a hat-trick. Lady Aria sets the standard on form and looks the biggest danger. 14:15 - It's probably safe to assume that LIVVYS DREAM (10) simply had an off day when tried over this trip at Leicester in August, rather than attributing that defeat to lack of stamina. Indeed, the manner of her subsequent victories at Kempton and Windsor suggest that 1¼m should be within range. Unexposed handicap debutant Kasbaan is feared most ahead of Rotherwick and Dragons Voice. 14:50 - HERE'S ALICE (11) had plenty left in the tank when opening her account at Bath and, with further progress anticipated now faced with a stiffer test, she is taken to exploit what could turn out to be a lenient opening mark granted she proves as effective on a much softer surface. Night Story is bound to attract support following his Chelmsford victory, but he has a bit to prove on turf and bigger threats are likely to be posed by Graceful Lady and Alfredo. 15:25 - WINSTON C (2) pulled clear of the rest when chasing home The Grand Visir off this mark at Doncaster recently and, with this drop back in trip unlikely to pose a problem, he could be the answer in an open affair. The consistent Hawridge Flyer can be expected to give another good account of himself, while Derek Duval is also of interest back at this level after struggling in a Class 2 handicap. 16:00 - There's more to come from the unexposed SAWWAAH (1), who did the job well whan making a winning handicap debut over C&D last month and a 6 lb rise for that is hardly draconian. Little Jo has sprouted wings since joining this yard and is likely to offer stern resistance. Medieval may also have a part to play and History Writer is not without hope either.